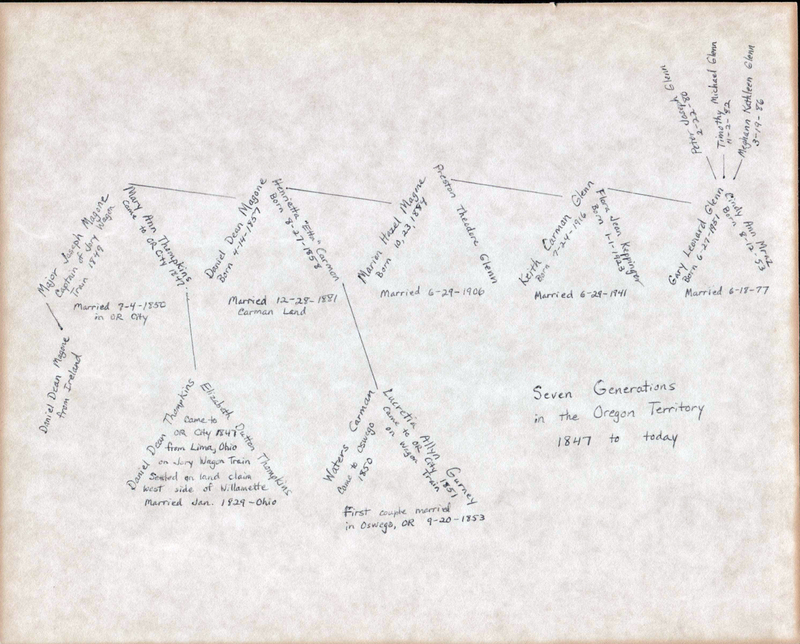 Description Handwritten chart of seven generations of family including Tompkins, Magone, Carman, and Glenn lines. Title is written as: Seven Generations in the Oregon Territory 1847 to today. Photo courtesy of Gary Glenn.